Getting the look you want has never been easier. No matter the style, there's something for everyone to become inspired by, all while staying under budget! Give your home that industrial look you've been eyeing- all without having to break your budget. 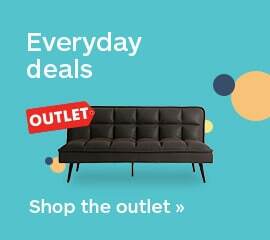 From side tables to lamps and beds to bar stools, there's so much you can do! 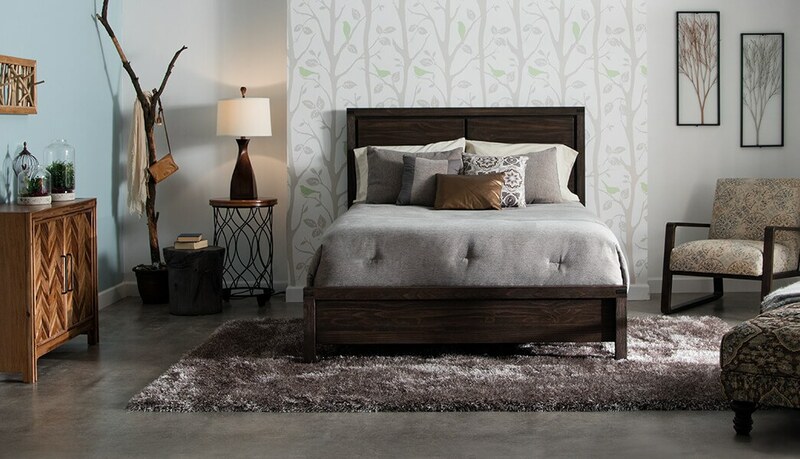 Give your bedroom that natural look with a color palette featuring deep rustic brown and soothing neutral colors. Top it off by literally bringing a touch of nature inside. It's super easy to do! Let me show you how. Furnishing a small space can be a little challenging, but not impossible. I have fun and functional furniture that fits your area and looks great at the same time. Trust me. At just two feet tall, I'm kind of an expert on small spaces! 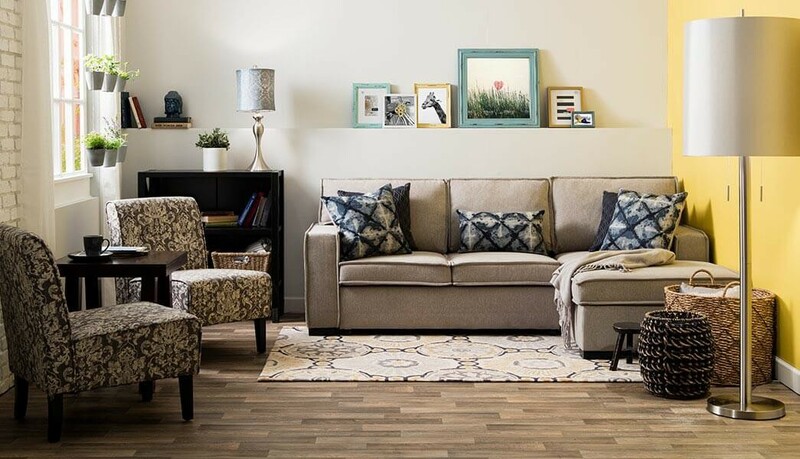 Take my timeless Katie and create four very different looks in your living room. From bright and boho to warm and nordic, get ready for some inspiration! Coastal cool style starts with soft colors, vintage finds and weathered finishes. I'll show you how to capture this bright and breezy look while staying on budget and on trend. 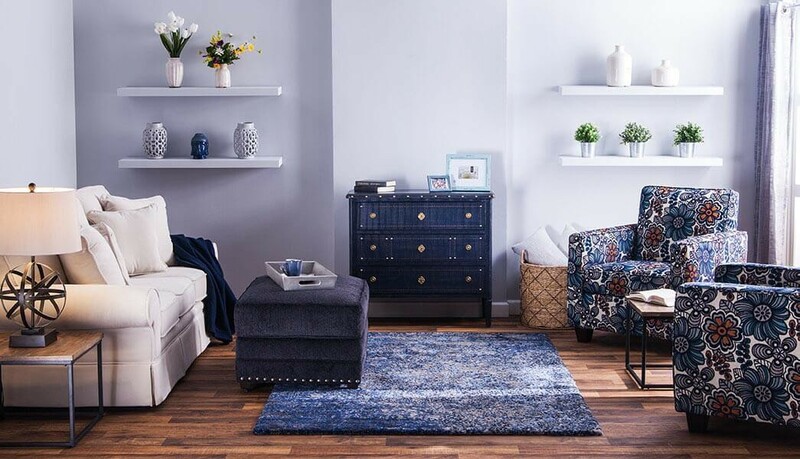 Step outside the box and add a pop of color to your living room to create a space the whole family will love to kick off their shoes and relax in. Don't let space issues keep your little ones from having their dream bedroom. I have many fun, space saver, multi-functional youth furniture that will make your kiddos never want to leave! Snuggle up and unwind as you rediscover complete comfort. Neutrals are great for bringing a tranquil and inviting mood while still keeping things crisp and clean. I don't know about you, but I'm ready for a nap! You don't have to be well traveled to capture the nomadic nature of my traveler's style pieces! Get all the worldly sophistication and unique flair that my living room furniture can bring- without the expensive price tag of a trip. Incorporate the natural beauty of my Montibello dining sets into your dining room! Wooden legs pair up with natural stone table tops to create an exquisite dining experience. 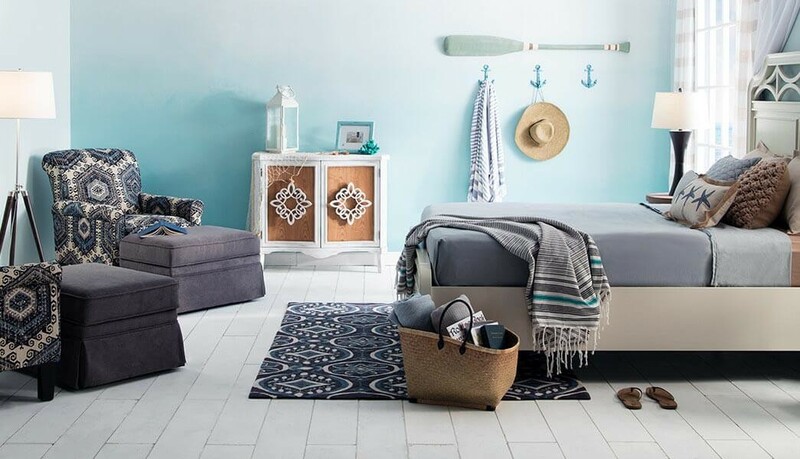 Instantly transport yourself to your favorite beach getaway with the serene setting of my Coastal Cottage look. The light and airy colors and artfully aged furniture puts you right at the beach without having to leave the comfort of your bedroom! Let me help you create your own stunning accent wall with this ombre effect DIY. I achieved this charming look by choosing pieces with lots of texture, distressed details and a soft, neutral color palette. Cottage style can be effortless with a little inspiration! Who wouldn't want a cozy cottage escape like this? 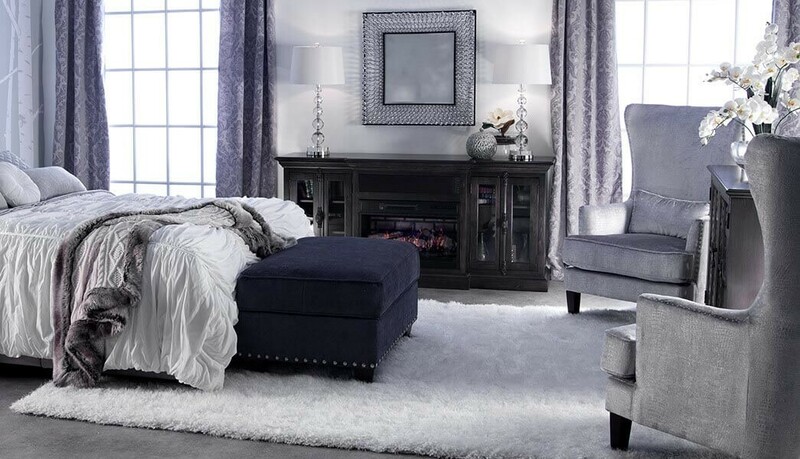 The rustic brown finish and wire brushing detail on the Austin Bed establish the cozy feel of this peaceful room while the gorgeous looks of the Garden City Cocktail Ottoman and Sadie Wood Chair create appealing points of interest. Tie the natural look together by creating a terrarium with live plants. It's super easy and fun! Learn how to build your own!